It’s that time of year again, the evenings are getting dark and it’s time for boxing training to re­sume. Boxing training will take place in the Community Centre on Monday nights and Friday nights from 7 pm to 8.30 pm starting on Monday October 1st. As always help is needed as there are a lot of younger boxers and it is hard for the regular trainers to dedicate their time to the championship fighters if they have to look after the under ten boxers as well. Help from older ex-boxers would be much appreciated. Last year was an eventful year. There were five county titles won. They were won by Stephen Molloy (Raha), Enda Tierney (Portacarron), Jamie Adams (Creg na Coille) and Aaron Casey (Maghera). These boxers went on to represent Galway at the Connaught finals in Westport. Enda Tierney had three hard fights to win a much deserved Connaught title. Aaron Casey had two fights to secure his Connaught title. Jamie Adams had a walk-over to secure his title and Stephen Molloy got injured and had to be withdrawn. Enda Tierney was unable to fight in Dublin due to a recurring injury. Aaron Casey under the supervision of Thomas Lee began a rigorous training routine for his Irish title fights. Aaron was beaten in the All Ireland semi final by one point by a Dublin boxer who went on to draw with his opponent in the final. 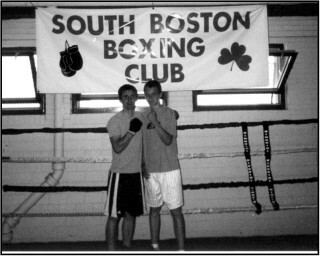 As a result of Aaron Casey’s strong show in the all Ireland title contest he was asked to be part of a selection of Connemara boxers travelling to Boston USA for a tournament against South Boston boxing club which was held in June last. The tournament was organised by Colman Flahartá and Una Flahartá (secretary) of the Conne­mara Boxing Club. Eighteen boxers travelled with a large number of supporters. There was much excitement in Knock Airport on June 24th as the boxers left for Boston. The International boxing event was scheduled for the IBEW Union Hall Freeport street Dorchester on Friday 29th and what a reception the Irish fighters got. Both Irish fighters and American fighters were led out to the ring by the Boston Police Pipe Band to a huge crowd. Thomas Lee decided to come out of retirement to fight at the event so he travelled with the group as fighter and as Aaron Casey’s trainer. The first three contenders from Connemara were beaten in their fights. 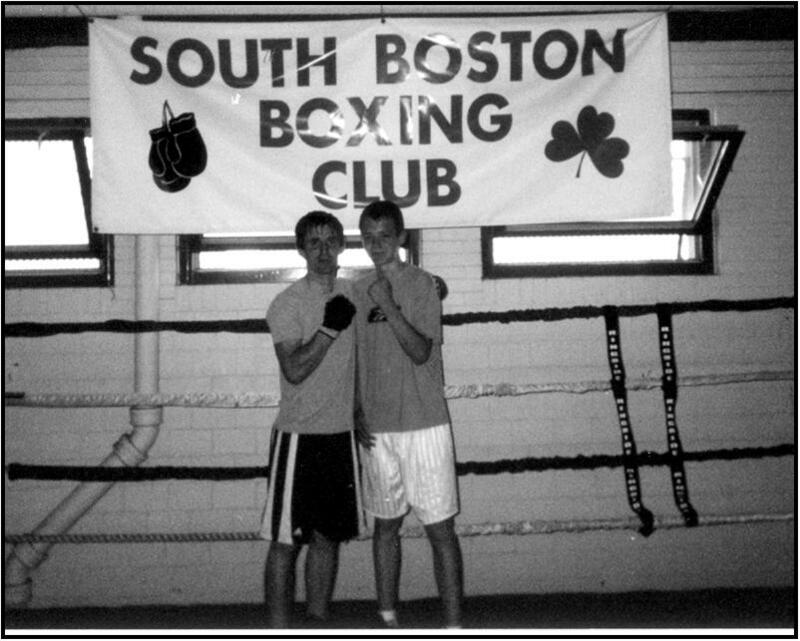 Aaron Casey’s fight was against the much fancied Andy Lee, son of south Boston boxing coach Tommy Lee. Aaron won the contest. A huge roar went up from the Irish supporters including a large amount of ex pats — Francis Kyne Claremount, Tommy Carter Killola, James O’Connor Ross and a large Darcy group. Thomas Lee had a huge job to do being out of training for nearly three years. On top of this he was matched against the number five in America in his weight. The contest was a master class in boxing from both fighters, Thomas getting narrowly beaten. The fight was judged to be the contest of the night. Also a winner on the night from Connemara was Anthony Griffin (ToTo) now an All Ireland minor medal holder. The trip was a huge success thanks to the planning of the Connemara Boxing Club and the host families in Boston. The boxers on both sides of the Atlantic are looking forward to the next event. Thanks to all the people who sold GAA Lotto tickets to raise funds to send both fighters to the event. The boxers from Oughterard have done the club proud.